There is no better time than now to substitute in our District!! We have increased the rates of pay for Substitute Special Education Aides and Substitute Building Aides! Prior pay rates were $7.50/hr for Building Aide Subs and $8.50/hr for Special Education Aide Subs. 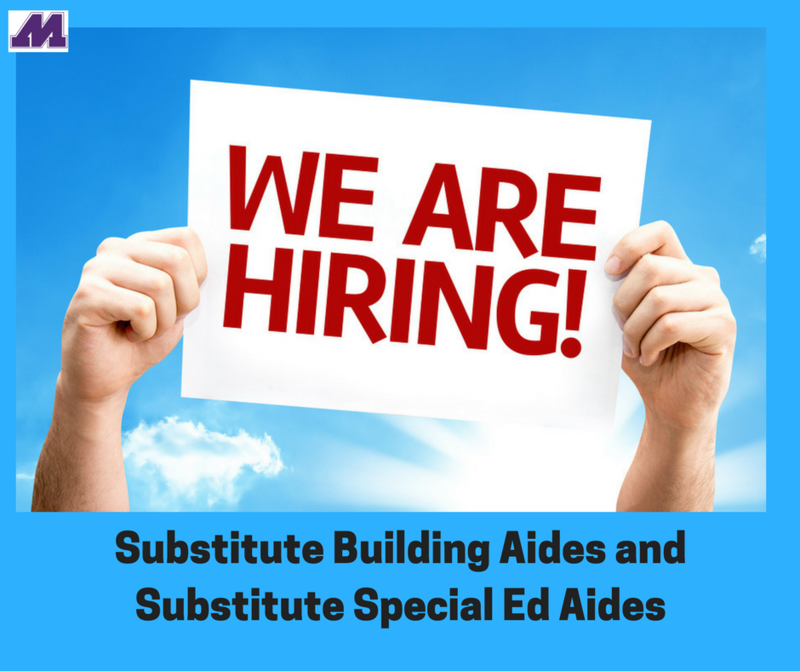 NEW rates of pay are $9.00/hr for Building Aide Subs and $10.00/hr for Special Education Aide Subs! SPREAD THE WORD! We are actively hiring for Substitute Sped Aides and Building Aides. Applications are only accepted online through teachiowa.gov or visit our District website to view the Substitute Aide job postings. For more information, contact Human Resources at 563-263-7223. We are looking forward to reviewing your application!